Nigeria’s most outstanding young entrepreneurs, innovators and achievers will all be celebrated at the ceremony. The 2016 edition of the Outstanding Young Achievers (OYA) awards themed ‘Moving Forward’ will hold on Sunday, November 20, 2016 at Bespoke Event Centre, Lekki, Lagos. The award ceremony is aimed at celebrating Nigeria’s most outstanding young entrepreneurs, innovators and achievers. 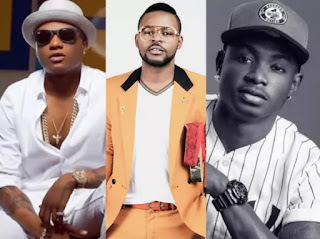 Weeks ago, organisers released the full list of nominations where star personalities like Wizkid, Lil Kesh, Falz, Linda Ikeji, O.C Ukeje and others all got nods in different categories. Head over to NETShop to get your tickets for the the event.